This is an easy to make delicious dish that you can enjoy for breakfast, desert, or snack. However you actually may enjoy this dish any time you like. 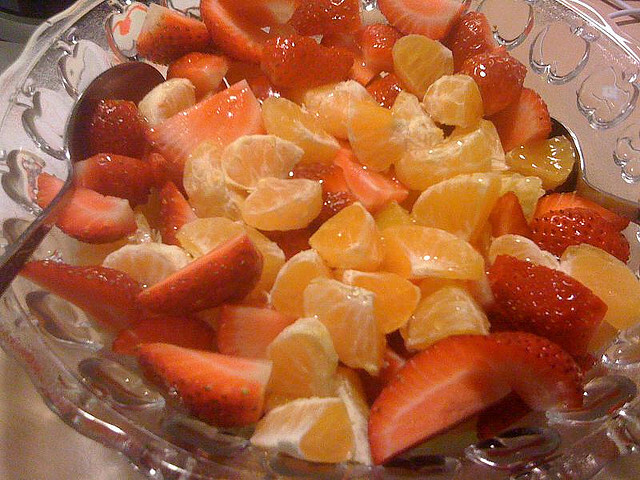 The ingredients for this fruit salad includes grapes, strawberries, pineapple, and mandarin, but you can have whatever fruit you like to this recipe. Fruits are known to have fiber, which is known to aid digestion and prevent constipation. On top of that the fruit mixed with a little honey will provide your taste buds with a healthy sweet flavor I’m sure you will enjoy. • Wash all the fruit off. • Drizzle ½ tablespoon of honey on top of the fruit and mix if desired. Join Women Health and Diet and be motivated to become healthy or maintain your health. We will never share your email with anyone.